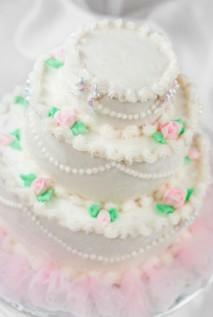 Frost with buttercream for any occasion. Wilton buttercream frosting is not only easy to make, but good tasting and easy to work with, too. A good and reliable recipe is something every decorator needs in his/her repertoire. Wilton provides recipes online, in course books, with pan instructions and in their yearbooks, making a buttercream frosting easy to find. The classic Wilton buttercream icing consists of butter, shortening, vanilla extract, confectioners' sugar and milk. Substitute shortening for the butter and water for the milk if you want to avoid refrigerating the frosting. For a customized flavor, substitute almond, butter or vanilla extracts in various parts to make up the original amount of vanilla in the recipe. Each recipe includes the ingredients, plus step-by-step instructions for making the recipe correctly. Read directions thoroughly, because steps may vary. Some recipes may need refrigeration. Wilton's classic recipe is easily tweaked by substituting similar ingredients. Make the Wilton recipe your own by making minor alterations that suit your decorating needs. Change the consistency of the Wilton buttercream frosting by adding or subtracting liquids and solids. Cake decorating with buttercream frosting requires different consistencies, depending on the decorations you want to make. The original medium consistency recipe is good for frosting the cake, doing most drop flowers, stars and general decorations. To make roses, flowers and borders, you may want a stiffer icing. Add less milk/water to the original recipe or add a little extra confectioners' sugar until you reach the desired consistency. For piping and writing, you may want a thin consistency, which involves adding small amounts of water/milk to the recipe. Some decorators might also add a bit of piping gel, too. When it comes to changing the consistency, work in small doses. Write down each amount you add to the original recipe, so you can easily recreate the recipe next time you have a cake to decorate. Choose clear extracts and flavorings in order to keep buttercream icing as white as possible and for colors to look true. Too Soft: Add extra confectioners' sugar to the recipe, 1/8 cup at a time. If the weather is extremely warm or humid, swap out butter for equal parts shortening. 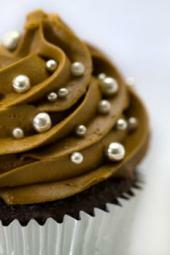 Overbeating the frosting can also cause it to become softer than usual. Too Stiff: If your frosting is hard to mix, won't spread over the cake or cracks as it comes out of your decorating bag, it is too stiff. Add small amounts of water, one tablespoon at a time, until you reach the desired consistency. Color Separation: Liquid food colors can sometimes cause thin frostings to separate, so try using a gel or paste for coloring thinned icing. Scrape the sides of the bowl to make sure that all the frosting is colored. When making large batches of tinted frosting, use an electric or stand beater to insure that color is completely incorporated. When you follow cake decorating instructions, be sure to check what consistency your buttercream frosting should be, along with how much of each color you need. Having the necessary frostings prepared eliminates issues once you get started decorating.